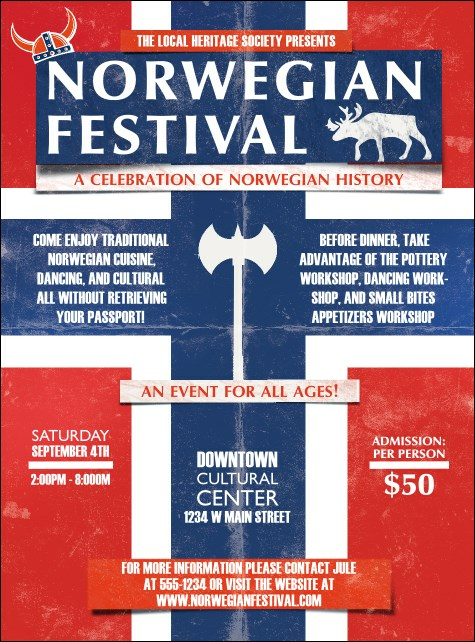 Celebrate viking heritage and advertise with the Norwegian Flyer. The flag of Norway serves as the backdrop in this design, with elk and a viking helmet decorating the template. Coordinate your festival promotions with tickets, invitations and posters in a Matching Event Kit.